The Rockman X novel is due to hit Japanese store shelves on the 25th. To keep those appetites whet, the book's publisher put up thirty - count 'em - thirty preview pages on Pixiv! Though most are in Japanese, there's quite a few illustrated pages you really should see. A fun observation of note: a young Dr. Cain is depicted in the middle right page. 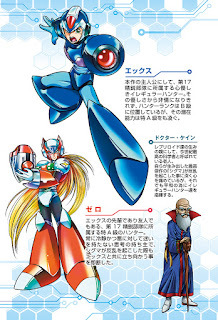 Is it me or does he bear more than a passing resemblance to Sigma, the first Reploid Cain ever designed? 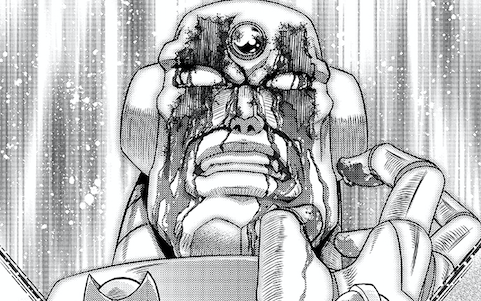 Did Cain actually create Sigma in his image? Goodness this needs to be translated! 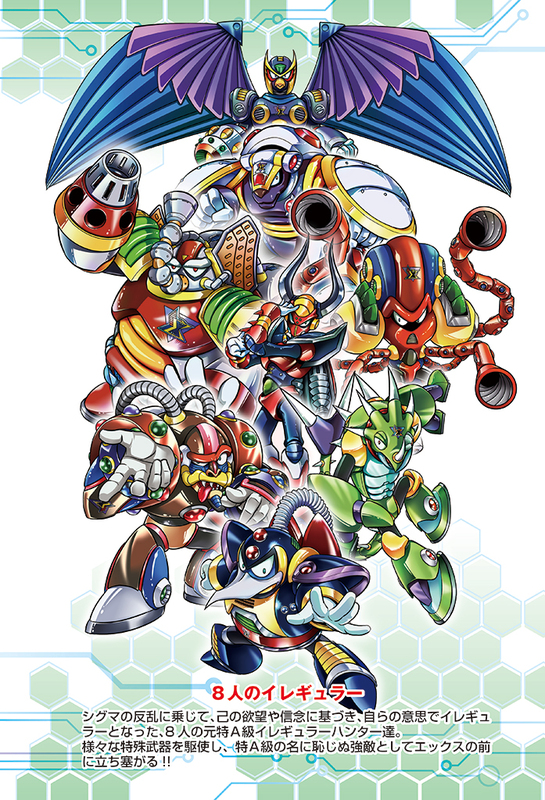 If you're interested in checking out the other preview pages, Reploid_21XX has graciously provided a .zip file. Download it here! That's quite a fascinating theory actually. It's not as if Capcom ever released any official art of Dr. Cain younger than we've seen him in the games. when was that ever hinted? 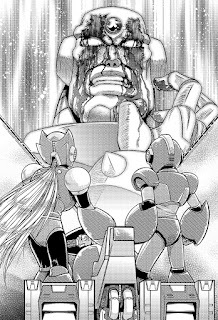 the bit where Sigma says you only destroyed a temporary Shell? 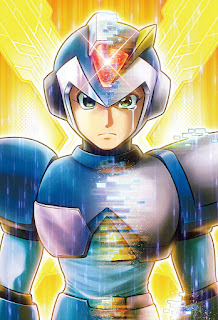 The novel was said to be based on the manga, however, notice that the design of the maverick are thoses of maverick hunter X. We can consider that it will take inspiration from this as well. I checked out a couple pages from the preview and while it's not enough to say whether or not some manga-only elements will appear in the novel, it's definitely taking some cues from MHX. July 4th is a date that is dropped in the previewed pages and you'll notice the first chapter is called Day of Sigma. Also, there's a distinct absence of that random Maverick from the beginning of the manga, it begins the story on X and Vile's confrontation. The boss order is also different from the manga. Launch Octopus right after Mandrill? A Mandrill rematch? 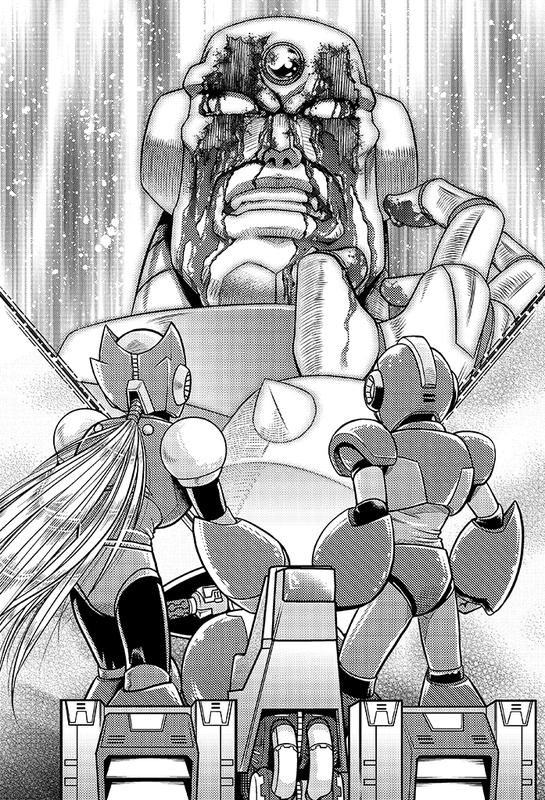 Kuwanger not being the last of the 8 Mavericks fought? 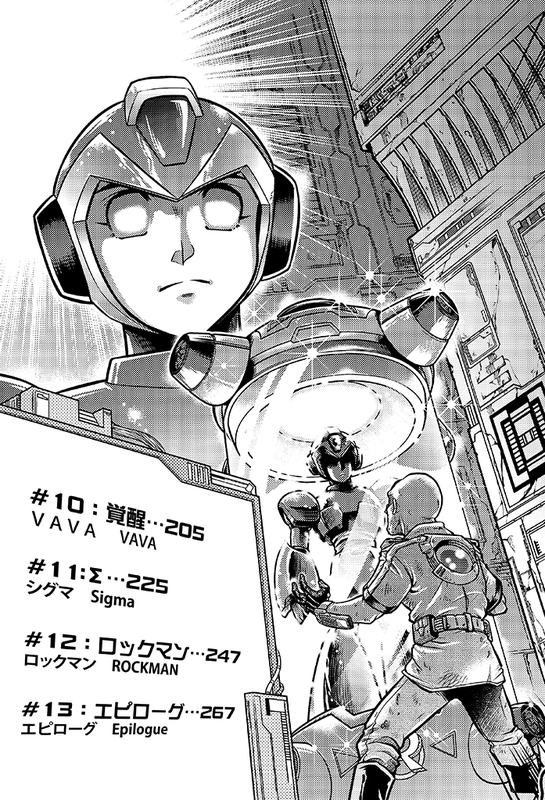 And Cain makes an appearance in the novel, while he first appeared in the X2 manga. 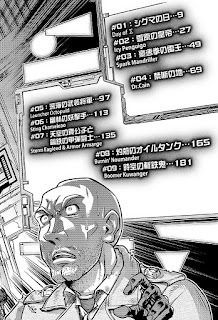 But then again, I don't see Storm Eagle and Armored Armadillo in the chapter list, so the second Mandrill may be an early print mistake (unless he really faces Mandrill again) and the other appears in the Dr. Cain chapter. MHX's redesigns for the bosses look nothing like the manga's art. Nice pictures of the mavericks. Oh hey this looks pretty cool. 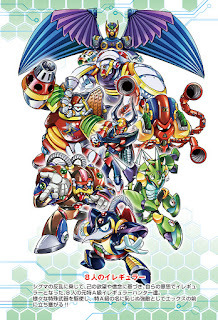 Sigma looks especially rockin'.